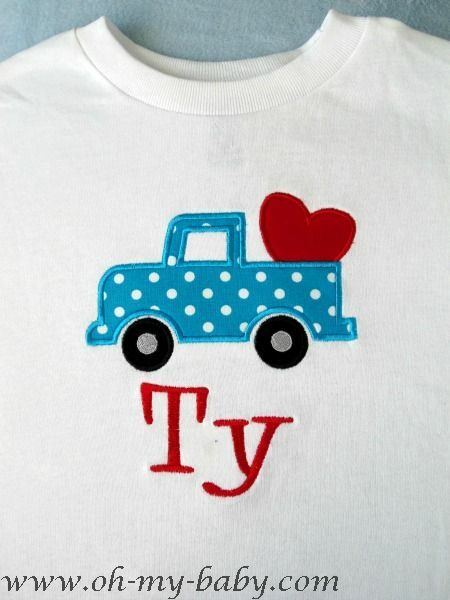 Personalized Valentine Shirt perfect for any little boy. 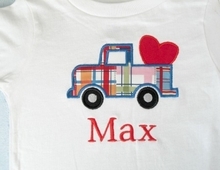 Valentine shirt has truck with heart applique design. Choose your font and color.